Interested in joining our Explorer Program? Our Open House was held on Tuesday October 2nd, 2018. Our next Open House will be held October 2019. Please click the LINK and fill out the on line application and you will be notified as our Open House date draws near. By clicking this LINK you will be directed to our online application which is hosted by Google Docs. Use the PayPal link at the bottom of this page to buy Tickets/Tables or to purchase Journal Ad s, and Special Sponsorships and/or if you can't attend please consider sponsoring an Explorer via the link on our home page. 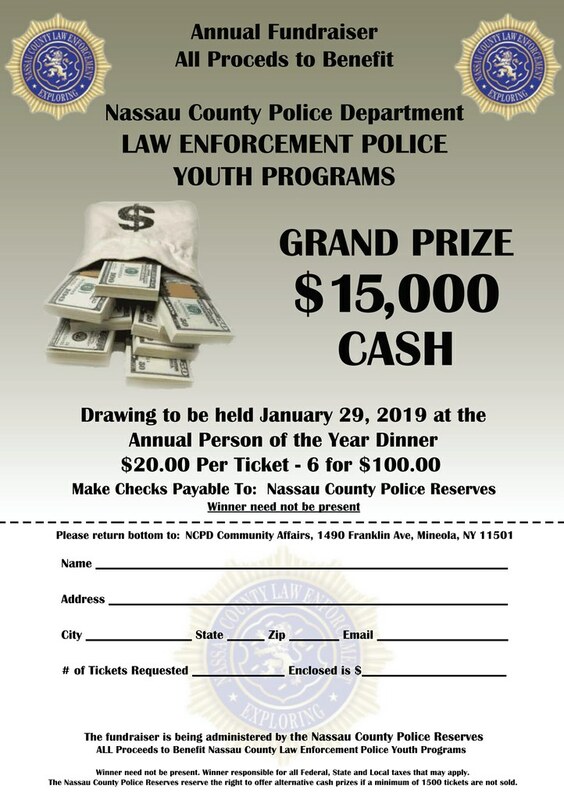 Our NCPD Explorer program is trying to raise funds to pay for Explorers who attended the 2018 National Law Enforcement Exploring Conference. Please click the link and consider helping. Any amount will help. The cost to sponsor an explorer is $250. You may sponsor as many explorers as you wish.